Told with Burroughs's unique voice, black humor, and in-your-face advice, This is How is Running With Scissors—with recipes. Haha.. I didn't know he had another book coming out. Looking forward to it. 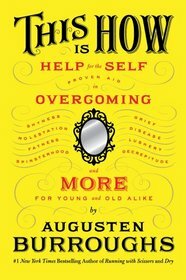 I've been looking forward to another Augusten Burroughs book! Thanks for the review!